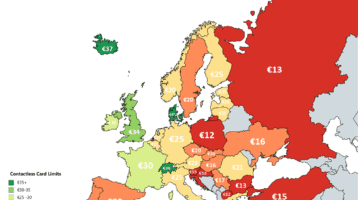 The maps above and below show contactless card limits (how much you can spend without entering a pin or signature) in Europe and many other countries around the world. 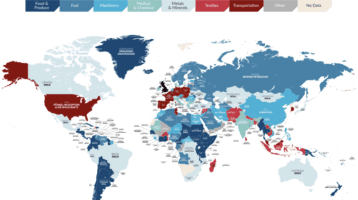 Map created by RS Components; click for full size The map above shows the top item the UK imports from every country on earth. Overall, the UK imports around £54.5 billion worth of goods, services, food and commodities from the rest of the world. 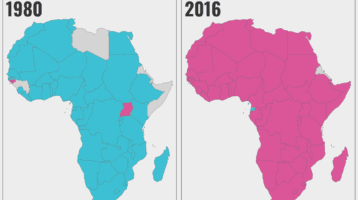 Map created by @Näytä Data The map above shows relative GDP per capita of African countries compared to China in 1980 and again in 2016. In 1980 China’s GDP per capita was only $194.80 per person. 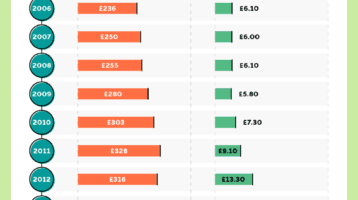 This was lower than all African countries except Guinea-Bissau ($138.17) and Uganda ($99.18). 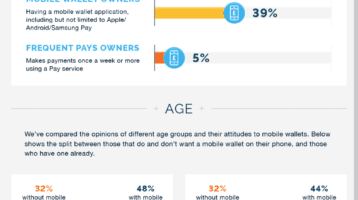 In the 21st century as more people rely on on convenience to make their transactions we look at how the rise of digital and mobile wallets has increased around the world and grown into a multi-billion dollar industry.